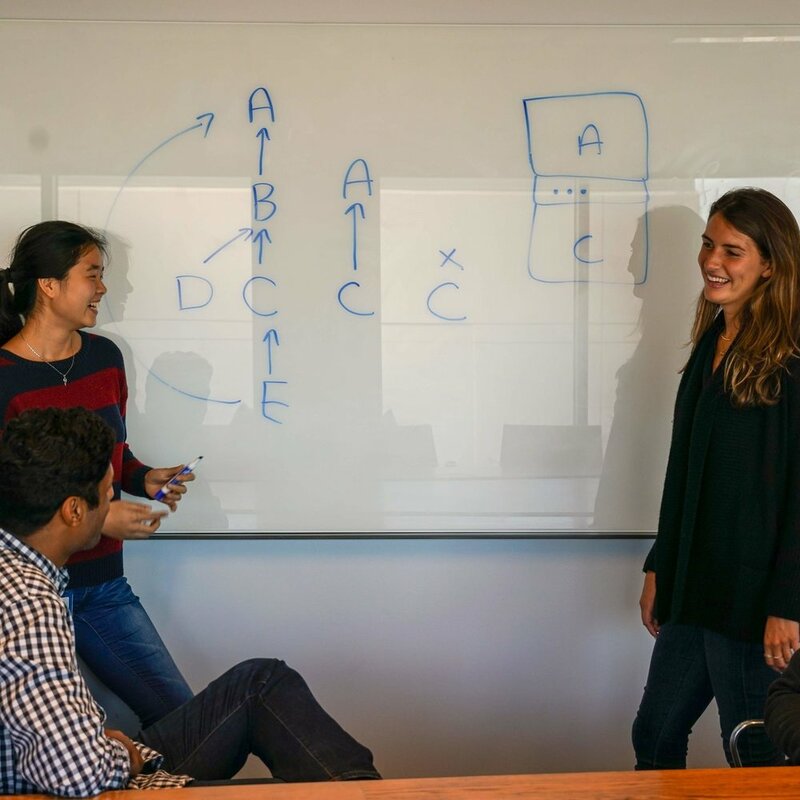 Twitter is looking for exceptional problem solvers and creative thinkers to join our rotational Associate Product Manager program. APMs lead teams with various members from engineering and design to marketing and sales. You will perform both market and competitor analysis, recommend priorities for your team’s product, set roadmaps, and articulate your product vision to stakeholders. APMs form a tight-knit community within Twitter, with fun social events as well as opportunities to see and learn from each other’s work. They are also warmly welcomed into Twitter’s Product Management community, attending monthly events together. I studied computer science at UC Berkeley and helped teach the undergraduate data structures course. This led me to build products to address teaching at scale. Now, as an APM at Twitter, I work primarily on brand advertising - so far, I've worked on improving video view rates and ad campaign creation tools! I'm really excited to be working on this team at Twitter. I studied Business Analytics and Animation at the University of Pennsylvania. Now, I’m an APM on the Notifications & Recommendations team - we are the little bird on your shoulder informing you on the things you care about most. I studied business and computer science at UC Berkeley. My classes challenged me technically and creatively. I knew that I wanted to work in a space that would do the same and the APM program was the perfect fit. My favorite part about being an APM is the amount of mentorship and guidance we get. There's support for you along every step of your journey. I did my undergrad in computer science at Stanford with a focus on artificial intelligence and paused my master’s degree (also in computer science) to come work at Twitter! In my first year here, I worked on our Health team, improving our confidence in follower counts. I’m spending my second year on our Advertiser Experience team, where I help our advertisers understand how their campaigns are performing and optimize them to get higher returns. I studied philosophy and government at Harvard, where I wrote my senior thesis on the ethical implications of EU data privacy law and served as an advocate for women in technology. Currently I’m an APM on the Tweets team, where I’m excited to develop the future of the platform at the intersection of breaking news and everyday conversations. I studied political science at Duke University, and previously worked in consulting. I love working at Twitter because the company feels small, but has such a large impact on the world we live in. There's always an opportunity to take on more responsibility and grow professionally. Not to mention, you're building products that make you excited to come to work each day. I studied computer science at Stanford, with a concentration in human computer interaction. As an APM, I help build tools that allow creators, influencers, and public figures to understand, engage with, and grow their audiences. I love working at Twitter because we give millions of users a voice, connecting them across the globe every day. I went to school at the University of Virginia (go wahoos!) where I started a social venture called FoodAssist, which rescues leftover food. It’s still going and has provided 2,500 meals to after-school programs to date! In my first year as an APM, I worked on tools that give advertisers the confidence to run their ads. I’m now working on making Twitter more accessible to users and more relevant to what’s happening where they are. To apply, select "Product" as one of your career interests and "Associate Product Management" as a program interest on the University application. What is the structure of the APM program and how long is it? APMs go through two, one year rotations on various product teams across Twitter. In total, the program is 2 years. How many APMs are there? Our first two classes had between 4-6 APMs. Our third APM class, which started in the fall of 2018, has 7 APMs. We are hoping to welcome 7-9 APMs in our APM class of 2019. What are some examples of what the rotations could be? Your rotation might involve improving the new user experience, defining innovative advertising formats, working on our publisher platform tools, or helping creators engage with their audiences on Twitter. The possibilities are endless! We are looking for BA/BS candidates (preferably class of 2019) who have a desire to develop a career in product management with a strong focus on developing social consumer, advertising, and developer products at scale. Preference is given to those who have demonstrated experience working with and have knowledge of consumer behaviors, a strong quantitative background to support data-informed decision making, and an ability to plan and drive execution to grow a product from concept to success. We are interested in candidates with strong interpersonal skills, technical acumen, the ability to work well in a cross-functional team environment, and exceptional communication and presentation skills. Passion for media and social platforms is preferred. What kind of learning/mentorship opportunities are available to APMs? When APMs first start, they go through an intro to product management bootcamp together. Following that, there are monthly learning sessions with executives and senior PMs to continue to develop the necessary skills to succeed as product managers. APMs have two mentors: a PM mentor and an executive mentor with whom they meet regularly. In addition, APMs participate in PM Skillshare (our weekly PM knowledge-sharing session) as well as in courses at Twitter University (our internal education platform). What happens after the program/how do you get placed on a permanent team? 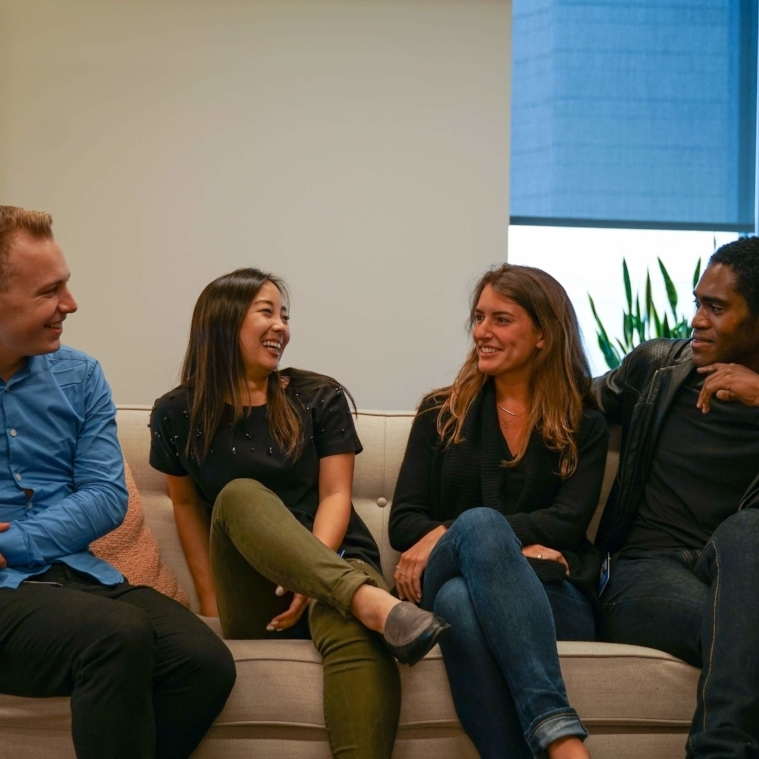 After completing both rotations, APMs will find a permanent home as a product manager either on one of the teams they rotated through or on another team of interest.